On March 22, 1996, twenty-two years ago today, a group of folks that seemed entirely unqualified for their job broke into some rich dude’s house, caused pets to break windows and proceeded to get murdered and bitten by strangers. Today, we celebrate their sacrifice by looking back on what two-decades plus of Resident Evil means, or if it means anything at all. I’m not being a Debbie Downer. I promise it comes from the most supportive of places. Meaning is a catch-all for a concept, but that concept has spread itself so thin that even those of us who still get excited for the nonsense are stuck asking what it is that we should expect or what it is that we deserve with each new announcement. And I have found a particular joy in that of randomized quality over the years. Resident Evil is a lasting legacy of pure frustration. That’s not a bad thing, but it requires a unique set of expectations to appreciate and I feel like I mastered that over the years without ever mastering what defines the series. That uncertainty is what keep the spice in our relationship. 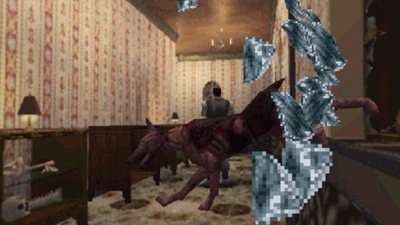 Resident Evil started with a simple premise: a house full of zombies that you were not equipped to handle. Your player-character is easy to kill and almost any attack on you results in activating an injury system that makes walking or even breathing into a heightened level of responsibility. You never have the means by which to defend yourself fully, and running away is encouraged in any situation where it is possible, but even saving your progress involves combining rare items and even rarer equipment discoveries. The game defined the concept of survival horror while doubling-down on it in a way that modern games have fled: it’s nearly impossible to play. You have a precariously limited inventory system. You cannot manage the camera angles, so monsters can walk right up to you without any recourse. The tank-control movement system makes walking a challenge. Most of the key puzzles are so bizarre, most human beings are ill equipped to tackle them. My point: Resident Evil is a beloved game. It is also not a very good game. I didn’t find it to be a good game then and I do not find it to be a good game now. Yet it is a dreadfully effective game. It wraps you in a layer of mood and fear in ways that games are still wishing they could emulate twenty years on. 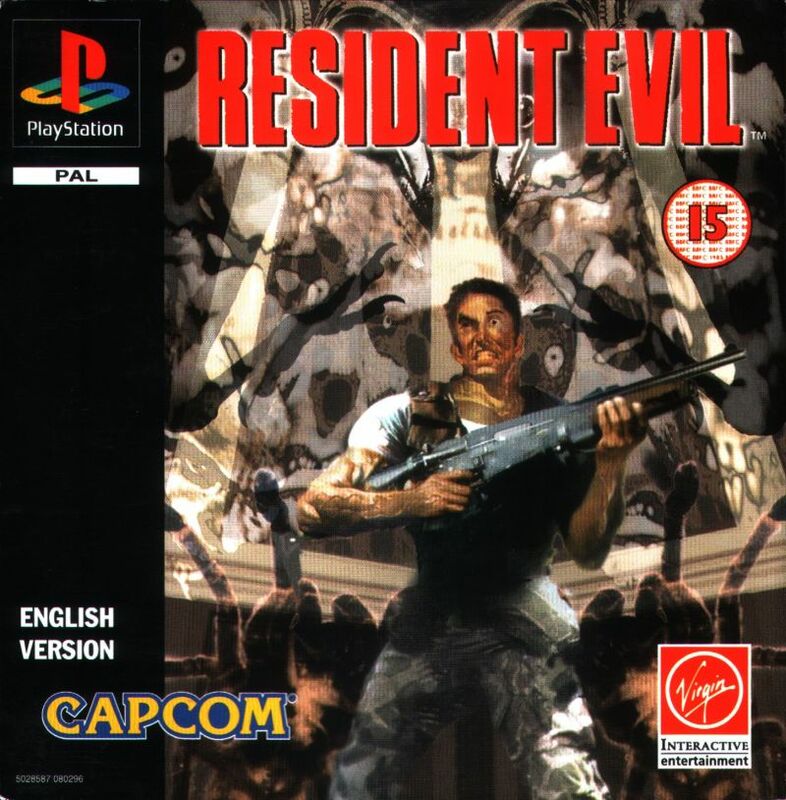 Hell, the Resident Evil franchise itself could never recapture this. 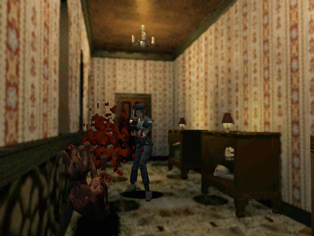 Resident Evil 2 saw the scope of the original expand from a house to a city. Resident Evil 3 saw the scope expand and contract, into underground labs and military facilities. From here, it becomes a living hell to comprehend the course for what the series hoped to accomplish. There are ports to old-school handheld devices. There are weird first-person adventures. 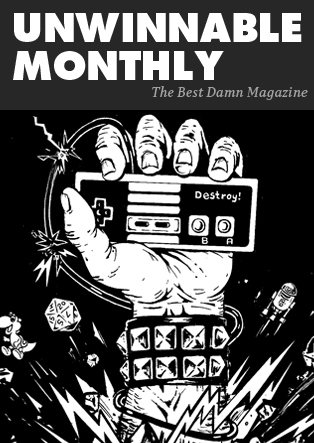 There are comic books and online multiplayer experiences and prequels and reinventions of those same prequels and remasters of the original titles and new adventures that exist in entirely new game universes and there’s manga and movies and even a goddamned stage musical. Resident Evil has been brought back from the dead more than . . . look, you see what I’m doing. The problem is that the number of times that I’ve seen some new extension of the universe and thought, “C’mon,” I’ve spent equal time thinking, “Oh wow.” Resident Evil has always had the cultural capital to do whatever it wants. When it wants to be some off-brand online co-op game where you fight mutant zoo animals? The Resident Evil name allows that to happen. When it wants to become a bizarrely political globetrotting adventure? The Resident Evil name allows that to happen. When a CGI movie that should have never been made wants to get made… green light. Resident Evil’s unexpected universality accompanies what you might expect from a narrative universe this large: it makes no god damned sense. The events of the games alone are a nightmare to try to tie together. Resident Evil Zero makes some sense, but in Resident Evil 5, I’m shooting African villagers while they chuck spears and me and in Resident Evil 7 a group of Trump supporters are eating me. All of this seems bad and, at best, hard to unify into anything that you could explain to anyone else. I consider myself a fan of the series and I absolutely despise more of what I have encountered in Resident Evil games than what I unreservedly enjoy. It’s a mess of a world, and maybe that reflects the mess of our world too, but it also shows 22 years of Capcom letting too many cooks into a kitchen and then building some other kitchens in a sub-basement for some reason and no one can explain why or how the building itself functions. It’s why I love Resident Evil so much. The series is built from a million spiraling parts and none of those parts owe anything to their origin. Hell, it was about zombies, but most of the modern games have nothing to do with zombies. They’re all poorly defined biological weapons or general nightmares. There an unhinged innovation in Resident Evil, from the playable parts of the franchise to the big Hollywood films. It is 22 years of throwing anything they want at the walls and publishing the wall, no matter what does or doesn’t stick. It’s all good enough. Despite all this, the true legacy of Resident Evil has always been one thing: frustration. From the opening minutes of the first title when you couldn’t seem to move the camera to see the antagonists that matter, to the inventory screen where you needed to combine plants (?) to stay alive, no one has ever held your hand. Your ability to enjoy Resident Evil depends on your ability to subjugate yourself to the whims of an unloving god. Finishing a game is never the end of a story. Finishing all of the games leaves you with more questions than answers. Dabbling in the extended universe is borderline mean. Resident Evil is the only long running entertainment in my lifetime that has imposed itself upon me and, for that, it deserves credit.